A dry cold front for many will come in later Monday night, peaking on Tuesday, and out of here sometime on Wednesday. This cold-front will bring colder air aloft and with this a stronger mid/upper-level jet will surface out of the west and northwest. The High Wind Warning wind criteria for over 45-60 mph wind gusts will be for ALL Mountain and Desert regions on Tuesday. 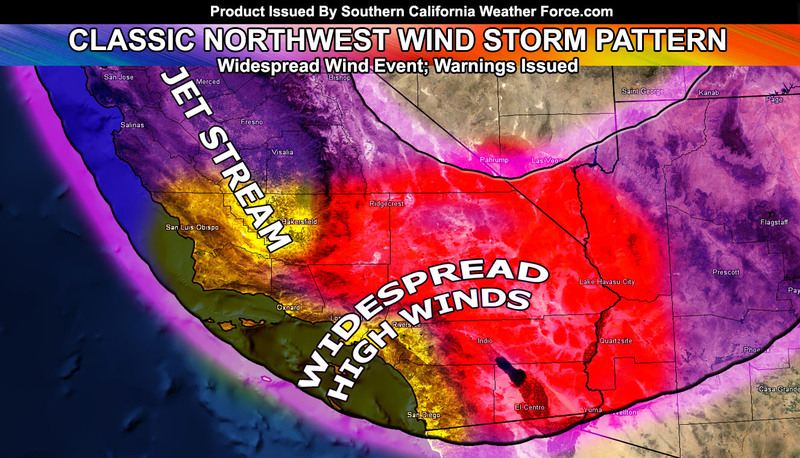 This warning will include the Santa Clarita and San Fernando Valley zones as well with the strong northwest flow I like to call a classic I-5 corridor wind event.